On 15th July 2013 the Bishop of Derby, the Rt Revd Alastair Redfern, received answers to written questions on the topics of graduate entrepreneurs and tax transparency. The Lord Bishop of Derby: To ask Her Majesty’s Government what resources are available for graduate entrepreneurs for start-up businesses. The Parliamentary Under-Secretary of State, Department for Business, Innovation and Skills (Viscount Younger of Leckie): We want more businesses to develop in the UK in order to drive economic growth and innovation. We are intervening early to drive ambition by encouraging an entrepreneurial mindset in young people through activities in schools, colleges and universities. The experience of enterprise through education helps give young people the knowledge and awareness of what it means to run a business. Higher Education Institutions (HEIs) can also help to bridge the gap into the world of business. For example, the Higher Education Funding Council for England (HEFCE) provides £160m per annum through Higher Education Innovation Funding (HEIF) to English HEIs to enable them to work with businesses and others. This can also be used to support student and academic enterprise, including start-ups and spin-outs. The latest Higher Education-Business and Community Interaction Survey (HE-BCI) indentified that, in 2011/12, 2,359 graduate start-ups were generated from English HEIs and 2,315 Graduate start ups were still active after at least three years. We are also supporting other initiatives that help young people who are ready to start their own business. For example we have made available over £117.5 million of funding to boost enterprise amongst 18-30 year olds across England through the Start-Up Loan Scheme. On 5 June Government announced the scheme’s 5,000th loan at an event at Number 10 to pledge further support for small businesses. There is also a wide range of advice and information for young people who want to start a business available at GOV.UK website and also the GREAT website, which links to sources of business support from Government and the private sector. Young people can also take advantage of Mentorsme.co.uk which provides a single point of access for those seeking a business mentor. For young people who have innovative ideas there is the Technology Strategy Board which is the Government’s prime channel for supporting business-led technology innovation. It delivers a range of grant-based programmes in support of businesses undertaking research and development, including the Smart programme and Innovation Vouchers scheme. Smart supports pre-start ups, start-ups and Small and Medium-Sized Enterprises (SMEs) with ‘Proof of Market’, ‘Proof of Concept’ and ‘Development of Prototype’ activities. Innovation Vouchers enable small businesses, including start-ups, to work with universities and other innovation advisers to help them gain new knowledge and help the businesses to innovate, develop and grow. Finally, we are helping international students with a genuine and credible business and entrepreneurial skills to remain in the UK to establish a business. Those who graduate in the UK can be endorsed and supported by UK Higher Education Institutions, whilst UKTI is also seeking to attract the best entrepreneurial talent, from overseas universities, to the UK. 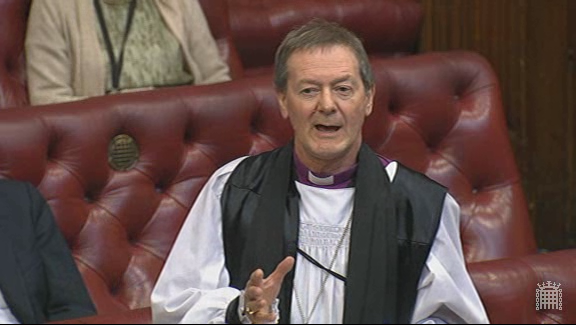 The Lord Bishop of Derby: To ask Her Majesty’s Government what work is being done to ensure that the United Kingdom overseas territories and Crown dependencies are committed to adopting any new standards of tax transparency agreed at the G8. The Commercial Secretary to the Treasury (Lord Deighton): All of the UK’s Crown Dependencies and Overseas Territories are committed to meeting the relevant standards in tax transparency. The Government works very closely with the Crown Dependencies and the Overseas Territories on an ongoing basis including as part of the G8 process over recent months. They have all agreed to automatically exchange information with the UK and others and, therefore, play an active role in the emerging new global standard for the automatic exchange of tax information. They have also committed to join the Multilateral Convention on Mutual Administrative Assistance in Tax Matters as rapidly as possible. The Crown Dependencies have all published Action Plans setting out concrete steps to tackle misuse of companies and legal arrangements and all of the Overseas Territories have committed to do the same by the end of the year. The Government will continue to pursue greater transparency in taxation in all relevant international fora.